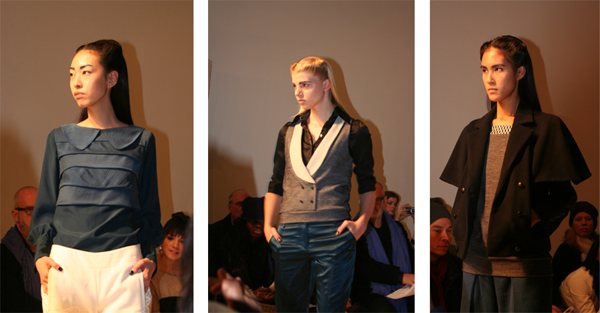 Thursday afternoon fashionistas flocked to The Metropolitan Pavilion for the 4 Corners Of A Circle Fall 2013 runway show. As guests headed to their seats and waited for the show to start they were treated to complimentary Honest Tea and KIND snack bars. The lights dimmed and a simple percussion beat signaled the start of the show. Instead of models immediately hitting the runway guests were treated to some performance art as dancers gracefully flowed, in what was reminiscent of Tai Chi movements, down to their positions flanking the runway. 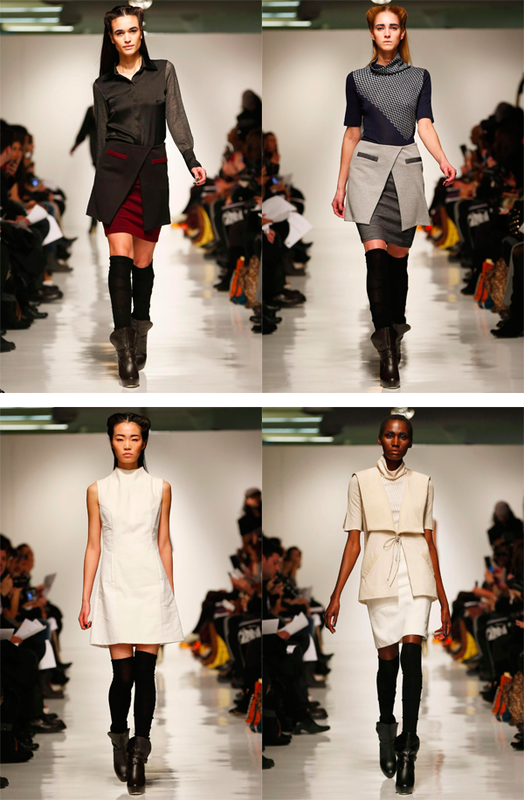 Designer Natsuko Kanno believes, “In today’s world… one must go out into the world and fight for the life they want, find their own way to make this world a better place.” The collection’s inspiration of traditional Samurai designs was clearly conveyed by the basic color palette, sparse patterns and textures. You, my pal, ROCK! I found just the information I already searched all over the place and simply couldn’t find it. What a great site.